InSanity lurks Inside: Rumor Alert :Disney Hollywood Studios getting a Star Wars Land? 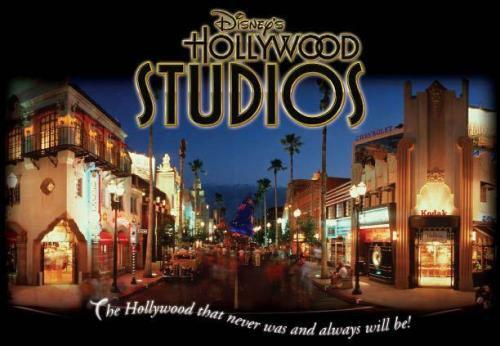 Rumor Alert :Disney Hollywood Studios getting a Star Wars Land? Disney Hollywood Studios to get Star Wars Land? UPDATE 8/15/15: Star Wars Land Announced for Disney Hollywood Studios! Well Folks, if you read anything on the internet you've probably heard the newest rumor mill gossip over at Disney World's Hollywood Studios. This one has flown wild and free, faster then stink on a skunk, it's everyplace I've looked for the last two days. So I guess that means I need to stop groaning in horror at the idea of how Disney can ruin this one and address the issues here. Back in March the internet collectively gasped when the Walt Disney Company purchased LucasFilms and all the other companies associated with George Lucas. Many squealed in joy while the rest of us collectively face-palmed. Like Disney didn't own enough of our collective childhood's already, they HAD to get Lucas too? I understand that they've had a long relationship with Lucas and a 4 BILLION dollar retirement fund is nice, but as we've all seen, it hasn't gone exactly as hoped. The first blow came when LucasArts was shut down, the games handed over to the second biggest Game Designer Jerks on the Planet, EA. Then we got news of new Star Wars movies, we rejoiced. Only to suddenly groan when hearing it's going to be a 'saga' movie every two years, on the same time line but 'spin-offs'. Then some other kind of Star Wars movie, based on who knows what, every other year. So basically one Star Wars themed movie per year. The fate of our original beloved characters are unknown and the idea of a new movie every two years is cringe worthy. Who knows, it could be good but I'm braced for impact myself. Now we've got a rumor of "Star Wars Land" floating wild on the internet. Don't get me wrong, I LOVE this idea. I've wanted it since I was old enough to understand Star Wars and fall in love with the series. However, Disney doesn't exactly have the best track record with these kind of things. CarsLand did well but we're under a dire and looming threat of "Avatar Land" happening over in Animal Kingdom. Part of what made Star Wars such an great addition to Hollywood Studios (or MGM Studios for those of us from the old school) was the fact Lucas controlled it. Every little part had to be approved of by him, to be sure it held up to the name of Star Wars before it was built. Now, that fail-safe check is gone. Disney has the reigns and as we can see, they've gone wild with the brand. While I'm hoping for nothing but good to come out of this rumor (as in an awesome new land) I've got concerns. Serious Concerns. One of them is very serious indeed, where in the HELL are they going to put this new land?! Well over on Theme Park Insider, Robert Niles' version of thus rumor is that we're not only getting a themed land for Star Wars but the earlier rumor of CarsLand coming to Disney Hollywood Studios is happening also. Leaving a bigger problem, where the 'rumor' says their going to stuff it! Behold! My awesome Paint Skills! Alright, I made yet another cool little map for you! The area above in RED is the area rumored for CarsLand. In BLUE we have the rumored area/areas for the Star Wars Land. Do you see the problem here yet? Maybe a few major attractions that draw huge crowds going under the axe? How about the other problem? Go ahead, try to spot it. It's the simple fact of doing either one of these proposed lands at a single time (rumored to be 2018) would shut down roughly 1/4 of the park at any given time. We don't need to worry about them doing both at once since we all know that Disney is entirely incapable of opening an project in a single shot. Plus this would close between 2-4 big attractions, some just for the construction and some completely under the chopping block. By looking at the above map you can see the major attractions in the questionable areas for the proposed new lands. Now, no one even knows if this will happen (read: probably) nor what attractions would be chopped (read: probably most of them). For CarsLand we'll be loosing Lights, Motors, Action the stunt show as well as the already now lack-luster (after they demolished half of it for the stunt show) Backlot Tour. While neither of these is a really huge loss but it's still a matter of closing 1/4 of the parks area. Next we look at the area rumored for Star Wars Land. This would chop out Muppets 4D, Honey I Shrunk the Kids Play Area and possibly even the Indiana Jones Stunt Show. Also would also create a hellish flow path to get to and from the newly refurbished Star Tours attraction. 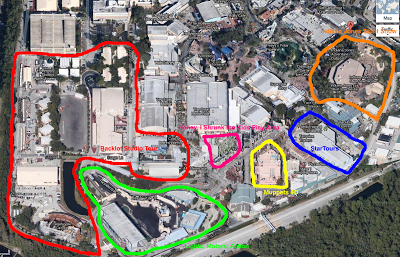 Now, this idea would also close roughly 1/4 of the park also. To loose Muppets would be a nightmare and a travesty, more so since the show has gotten more popular with the newest Muppets Movie in 2011 and another coming in 2014. Loosing Indiana Jones would be a nightmare, that show is hugely popular and the stage area is often used for multiple other events during the year. So between the two areas, roughly 1/3 to 1/2 of the park would be under construction in a very short time span. Allowing 2 years to complete each land fully before you'd have to close down and demolish the next area to keep to the 2018 rumored opening and that's assuming they close it down in 2014 just after the construction in FantasyLand is finally complete. As I said, I love the ideas. I've wanted a Star Wars themed land forever and I hope it does happen, I just hope Disney does it right and makes it a credit to the Star Wars name. As for CarsLand, I hope that isn't all we maybe looking at with such a huge area. With some luck maybe we'll see MORE Pixar themed attractions then just a copy of CarsLand from California Adventure. However, As Always Disney is denying everything until they are damn good and ready to announce to us little people what's going on. This is proved by Central Florida News 13 and what happened when they asked Disney about the rumors. Note, they aren't DENYING anything just saying they have "nothing to announce at this time". I leave you to draw your own judgements but... please make sure you cross your fingers, maybe sacrifice a chicken or even offer up your sanity to the elder gods but do something so they don't screw this up!